Quick summary: This lesson focuses on developing the ability to draw conclusions from a text. Students explore different sources of information about waste reduction and recycling and synthesise to develop a set of statements about the topic that encourage others to recycle. This lesson is designed to provide valuable practice for NAPLAN, the national literacy and numeracy test held in Years 3, 5, 7 and 9*. This lesson has been developed in partnership with Visy. 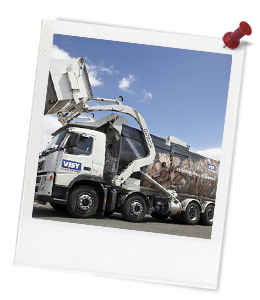 For over 60 years Visy has been striving for sustainability, reducing the amount of waste going to landfill by collecting recyclable materials and recycling them into new paper and packaging products. Click here to find out more about Visy and their innovative work in recovering and transforming recyclable materials into new products to preserve our earth’s precious resources. Students will be able to synthesise meaning when reading non-fiction texts. Use comprehension strategies to interpret, analyse and synthesise ideas and information, critiquing ideas and issues from a variety of textual sources (ACELY1723). Understand how language is used to evaluate texts and how evaluations about a text can be substantiated by reference to the text and other sources (ACELA1782). Identify and explore ideas and viewpoints about events, issues and characters represented in texts drawn from different historical, social and cultural contexts (ACELT1619). General capabilities: Literacy, critical and creative thinking, personal and social capability, ethical understanding. Relevant parts of Year 7 achievement standards: Students explain issues and ideas from a variety of sources, analysing supporting evidence and implied meaning. They select specific details from texts to develop their own response, recognising that texts reflect different viewpoints. They listen for and explain different perspectives in texts. Unit of work: Bright Sparks – Literacy Skills. Level of teacher scaffolding: High – model literacy strategies for students. Single Use Plastic Bags Factsheet. Keywords: Sustainability, landfill, plastic, recycle, single-use, synthesise. *This lesson plan is not an officially endorsed publication of NAPLAN’s creators and administrators – the ACARA body – but is designed to provide practice for the compulsory assessment. Students can recall prior knowledge on the topic of a text. Students can note new information found in a text. Students can combine prior knowledge and new information found in a text to form an insight about a topic. Students can propose ideas, actions, solutions or changes that should be made based on their synthesis. 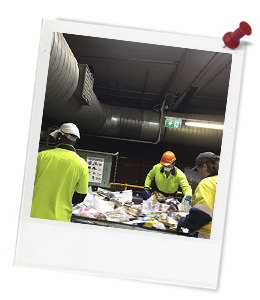 Information about waste: In the 2014–2015 financial year, Australians disposed of around 18 million tonnes of waste. That is around 754 kilograms per person¹. These figures saw Australia listed as the country with the 5th highest amount of municipal waste per capita by the OECD in 2015².